Non prescription diet pills are far more popular with consumers than prescription only slimming pills. This is because prescription diet drugs are not as easily available as their non prescription counterparts, since they require regular visits to a doctor in order to have them prescribed. Consequently, there are hundreds of non-prescription diet pills in the market compared to the few dozens of prescription-only slimming pills. As a prescription drug, Adipex is meant to be used in cases of severe obesity, and it must not be used in cases of light weight loss. Its most active pharmaceutical ingredient is Phentermine which is a powerful substance that suppresses appetite and stimulates the nervous system. Another name for Adipex is Adipex-P, which also contains Phentermine as its most active ingredient. As we mentioned above, the active ingredient in this diet pill is Phentermine, a stimulant similar to amphetamine, which reacts with the neurotransmitters in the brain, a process that results in reducing hunger and loss of appetite. Also, Phentermine releases adrenaline which makes the stored fat break down more easily. Adipex is more effective when combined with exercise and a healthy diet. As with any other prescription drugs, Adipex has a long list of side effects, some of which can be really serious. However, most people tolerate the pills quite well and if any side effects occur, their doctor is the only one to judge what steps they should follow to complete their treatment. How Good Is Apidex For You? 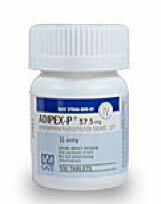 Adipex is a prescription drug, and only your doctor knows if it is good for you or not. Your doctor also knows what other medication you are receiving, and if Apidex is compatible with it. Another point to have in mind is that Adipex is administered in severe obesity conditions and only if the patient is not suffering from any other serious diseases. That is why people who have heart or lung disorders, thyroid dysfunction or high blood pressure must avoid taking Adipex. Adipex must also be avoided by people with eye problems like glaucoma or high eye pressure, and by anyone who has a history of addictions to drugs and alcohol. Don’t use Adipex if you are allergic to substances like amphetamines and other diet pills, and of course, it is advisable to avoid it during pregnancy and breastfeeding. As mentioned before, Adipex cannot be bought over the counter. You can only get it after consulting your doctor, or a GP, who will give you the necessary prescription. However, there are several Internet sites that offer to sell Apidex to willing customers, but this is an illegal, black market transaction. Apart from risking buying a fake product, you are seriously putting your health at risk. 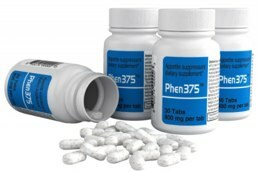 Phen375 is now recognised as the 100% legal substitute of the banned Phentermine, but without the nasty side effects.